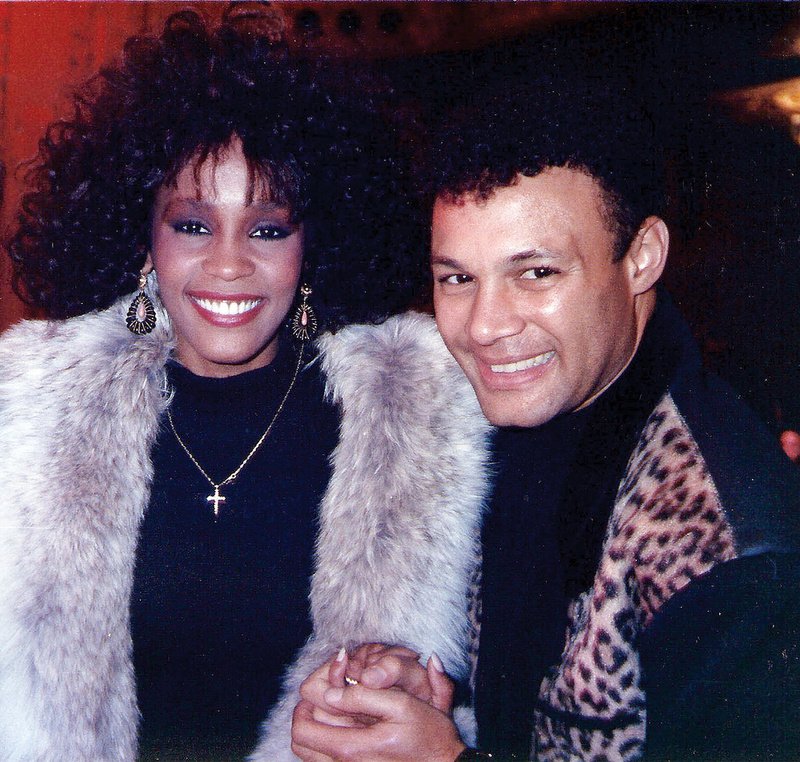 'I Wanna Dance With Somebody' was a huge global hit, but it also represented a tour de force in coaxing the perfect vocal from a singer, as explained by producer Narada Michael Walden. A singer, songwriter and drummer, Walden produced many of Houston's biggest hits, beginning with the 1984 recording of his co-composition 'How Will I Know' for her self-titled debut album and ending with her 1992 cover of Chaka Khan's 'I'm Every Woman' for the soundtrack of her first movie, The Bodyguard. He was handed the former assignment while producing Aretha's Who's Zoomin' Who? LP and working on the track 'Freeway of Love'. As with all of Whitney Houston's albums, several producers were responsible for handling the tracks on her eponymous curtain-raiser, in this case, Jermaine Jackson, Kashif and Michael Masser. Meanwhile, Arista A&R exec Gerry Griffith thought Walden would be ideally suited to helm a pop-crossover song that —written for and rejected by Janet Jackson — would contrast nicely with the record's collection of ballads and R&B numbers. Although Walden said he was too busy to work with Houston, Griffith persisted, and the producer relented, while making a single stipulation. "'How Will I Know' had a strong chorus, but the verses were incomplete,” Walden recalls. "So I told Gerry that if I could rewrite the song, I'd make the time. He got permission from its composers, George Merrill and Shannon Rubicam, I added new lyrics and, after cutting the backing track at The Automatt in San Francisco — with the in-house engineers Ken Kessey and Maureen Droney during the same sessions as I was recording Aretha's Who's Zoomin' Who — I was then told that [A&R head Clive Davis] wanted the vocal recorded right away. The same applied to putting the pieces in place for the recording of Whitney Houston's second album following the success of its predecessor, which had spawned three chart-topping US singles. Wanting to capitalise on this speedily, Arista chief Clive Davis began compiling a list of new songs. Impressed by how quickly Narada Michael Walden had worked with Houston on 'How Will I Know', and intent on her making a more pop-oriented record this time around, Davis and Gerry Griffith had Walden produce more than half of the tracks on Whitney. Recorded between September 1986 and February 1987 at various studios on the East and West Coasts, this album utilised the production skills of Jellybean Benitez for the up-tempo 'Love Will Save The Day'; Kashif Saleem for the R&B-flavoured 'Where You Are'; Michael Masser for his power ballads 'Didn't We Almost Have It All' and 'You're Still My Man'; and Narada Michael Walden for 'I Wanna Dance With Somebody (Who Loves Me)', 'Just The Lonely Talking Again', 'So Emotional', 'Love Is A Contact Sport', 'Where Do Broken Hearts Go' and 'I Know Him So Well' (featuring a mother‑daughter Houston duet). Written by the same team of George Merrill and Shannon Rubicam that had penned 'How Will I Know', 'I Wanna Dance with Somebody (Who Loves Me)' was not the first song to be submitted by them for the new album. Instead, having enjoyed their own Top 10 success in the UK with a number called 'Waiting For A Star To Fall' that they had performed as Boy Meets Girl, the pair suggested that Whitney Houston should record it, too. Clive Davis didn't agree. so Merrill and Rubicam then set about composing an entirely new song. When Clive Davis heard a demo of the song, he loved it. When Narada Michael Walden listened to it, he was less impressed. "It was very raw, rough and kind of country-sounding,” explains Walden, who was subsequently credited as the track's producer and arranger. "So I needed to put my ghetto hat on — my street hat, dance-club hat — so we could create a hit for everybody. With a dance song, it's really important to hit the mark in terms of what makes the ghetto move and what makes the Onassis boat move. You need to cover the whole spectrum, and so you've got to really be smart about having the right ingredients in the gumbo. 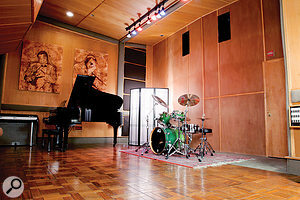 As with all of the other tracks that he produced for the Whitney album, Walden commenced the work on 'I Wanna Dance With Somebody' by recording most of the music at Tarpan Studios, where engineer David Fraser sat behind a 48-input SSL G Series console and taped everything with two Studer A80 machines. Calling on members of his house band, Walden recruited Preston Glass to help him with the programming, Randy Jackson to play the one-finger mote bass, Corrado Rustici to provide the funky synth guitar part and Walter 'Baby Love' Afanasieff on synth keyboards. While Marc Russo overdubbed an alto sax, Sterling added the big, attention-grabbing synth horns at the Record Plant in Sausalito. 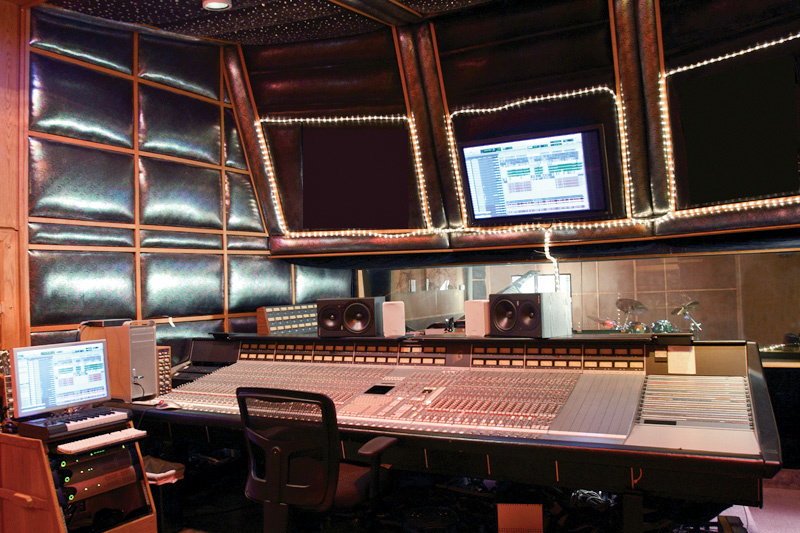 While Houston's vocals on songs such as 'I Wanna Dance With Somebody' and 'I Know Him So Well' were captured by David Fraser at Tarpan, those for 'So Emotional' and 'Where Do Broken Hearts Go' were recorded at Right Track in New York, where engineer Lincoln Clapp pushed the faders on an SSL G Series console. This was because Whitney Houston lived nearby. "When we were at Right Track, Whitney would come in at four in the afternoon and sing until seven, I would assemble all of the best bits and leave at around one or or two in the morning, and then Lincoln Clapp would stay until about six, putting the vocals together so I could listen to the tapes in my hotel room when I woke up the next morning at eight or nine. After making my corrections, I'd go back to working in the studio with him at about noon and make sure everything sounded like a complete record, so that when Whitney got there at four o'clock I could play her the previous day's work. When she'd hear it, it would just knock her out. She'd go, 'My God, it's all finished,' and I'd say, 'Yeah, all you've gotta do is this little riff and that little harmony and you're done!' That would serve as an energy high and make sure she didn't lose momentum. The trick with her was to work quickly and keep her excited about what she had to do next. When, in May 1988, this writer first saw Whitney Houston perform in concert at London's Wembley Arena as part of her 1987/88 Moment Of Truth world tour, her phenomenal voice — effortlessly blending tenderness with power while switching between pop, soul, gospel and R&B — sounded every bit as good as on the records. So, in light of this natural ability that seemingly made it easy for her to hit all the right notes, why was there a need to edit and compile her vocals like a jigsaw puzzle in the studio? 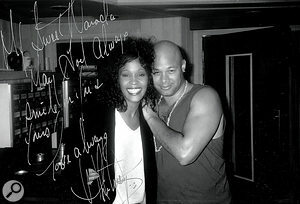 "It was about trying to create the best possible record that will last for hundreds of years,” replies Walden who subsequently produced Whitney Houston's Emmy Award-winning anthem for the 1988 Seoul Olympics, 'One Moment In Time', as well as three tracks on her third album, I'm Your Baby Tonight. 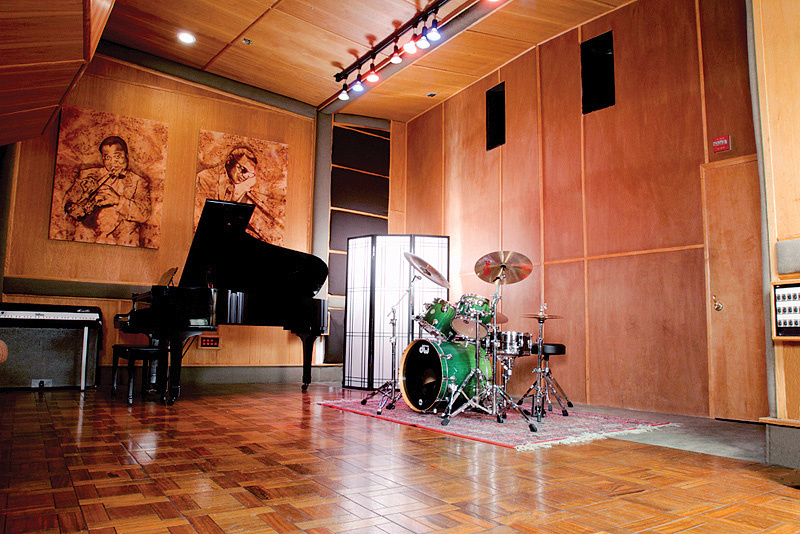 "That's the difference between a live performance and a studio recording. What you heard live was Whitney's killer voice, and while she was more than capable of singing a song beautifully straight through, on the verse we might want to have choices, on the chorus we might want to have choices, and we might want to double her voice here or there and add a harmony here or there. So, I'd say, 'Okay, take it again,' because you'd never know what might come out the next time around. Whitney had what I call a fifth gear — we'd fool around and then all of a sudden here comes the fifth gear and it's a whole other thing that's even beyond her and beyond the music. It was worth being patient. "Remember, I'd have someone else cut the demo so she knew how it should sound. I would even make sure it contained all of the ad-libs and other ideas I thought it would need. We could differ from this blueprint if we came up with something better, but if it ultimately didn't work then we'd go back to the blueprint. I might say, 'Try this lick,' so she would and, if it worked, I'd now have one little piece that connected something new with what she did two hours ago. You've got to know what you want your racehorse to do. She was a racehorse — a genius racehorse — and while I gave her direction I also recognised when she did something great. It was a win-win situation. "I would encourage her: 'Go beyond yourself, it's OK... Try something, just see what comes out of you.' That's often when she'd find this fifth gear and come up with something fantastic and magical. Generally, I'd want her to give me a straight reading of the first verse, first bridge and first chorus so that we'd get the melody without any embellishments. Then, for the second verse, second bridge and second chorus she could open up a little bit more, before going crazy for the out chorus. So, there was a very conscious effort on my part to control the shape and nature of Whitney's performance, making number one records where people could hear the melody and also appreciate what she would do in terms of the fireworks. One of Houston's improvisations for 'I Wanna Dance With Somebody', not in Walden's blueprint of the song, was the 'Say you want to dance, don't you want to dance, say you want to dance' chant ending that earned her a vocal arrangement credit. Having spent one three-hour session recording the lead vocal and then a short time the next day adding the finishing touches, Whitney Houston also contributed backing vocals, along with Kitty Beethoven, Jim Gilstrap, Kevin Dorsey, Myrna Matthews and Jennifer Hall. 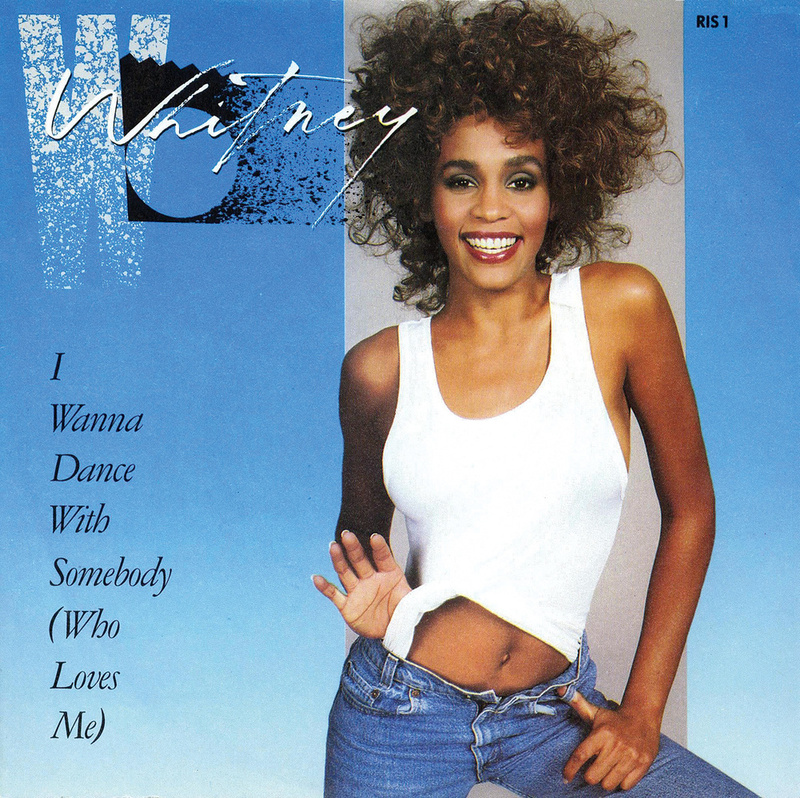 Mixed at Tarpan, 'I Wanna Dance With Somebody (Who Loves Me)' was released at the end of April 1987 and topped the charts in the US, UK and a dozen other countries, en route to winning its performer the Grammy Award for Best Female Pop Vocal Performance. Selling in excess of four million copies worldwide, it is, to date, her second most successful single behind her cover of Dolly Parton's 'I Will Always Love You', and was the fourth of an unprecedented seven consecutive number one singles for her in America, surpassing the previous record set by the Beatles and the Bee Gees. 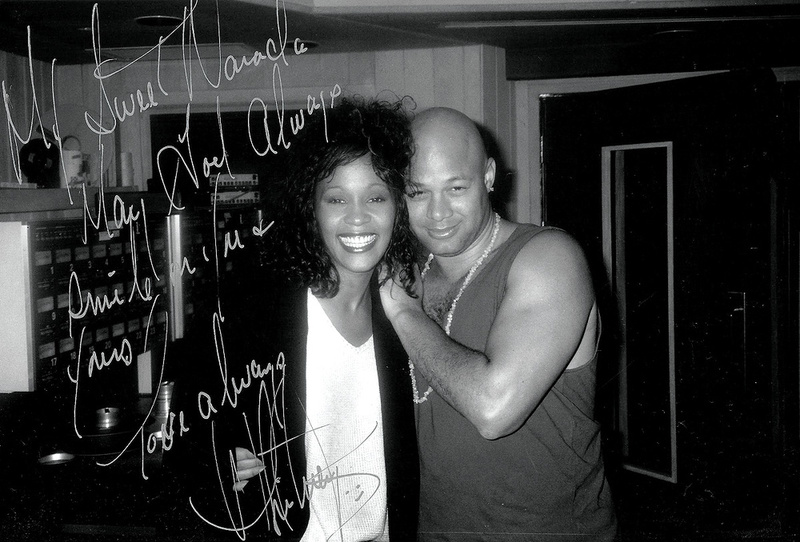 "I can't measure Whitney Houston's legacy as an artist any more than I can measure the universe,” asserts Narada Michael Walden. "However, having worked with her, I can say that I've had the chance to work with the best of our generation. I've worked with Aretha, Gladys Knight and so many greats who are absolute divas and paved the way. They paved the way for Whitney, and I'm so proud that she ran so powerfully and set new goals for everybody.